Huguette et Gilles vous accueillent en BAIE DE SOMME . A votre arrivée Huguette vous guidera dans le choix de vos sorties, afin de découvrir tous les lieux touristiques de la région. 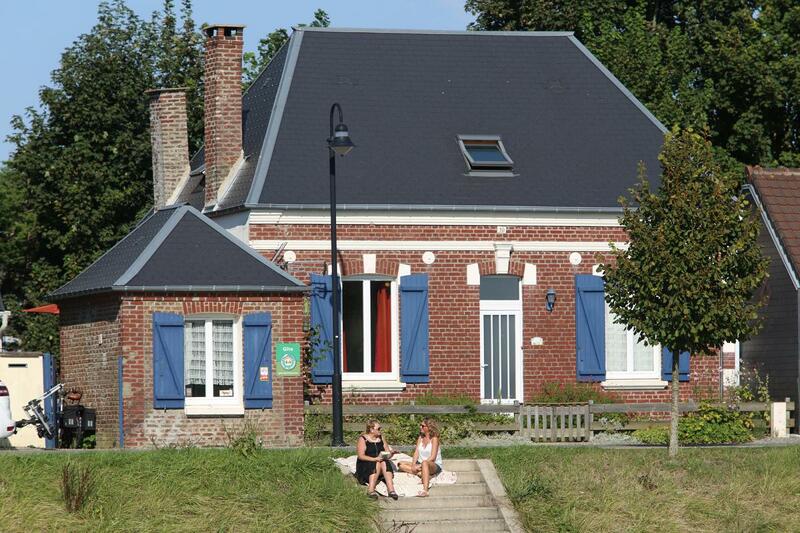 House is well located, away from the centre of St-Valery-sur-Somme but close enough (10 min. walk), with lovely (and surprising) view of canal locks. Peace and quiet guaranteed but house does not feel remote. Lovely wooden deck and small, sheltered lawn below (big enough for badminton or boules). Excellent fishing on canalised Somme (white fish, pike, eel, etc). Near Somme Bay salt marshes and Somme canal locks, gîte (98 sq.m.) on canal bank. Ground floor: living room (wood-burning stove), kitchen with access to terrace & garden (150 sq.m. ), bedroom (double bed), shower room (multi-jet shower), separate WC. 1st floor: bedroom with Velux window (2 single beds), bedroom (double bed, extra beds), bathroom, separate WC. Fishing tackle store at garden level. Electric heating (extra charge). VCR, CD & DVD player, hi-fi, TV, WIFI. Tumble drier. Excellent fishing on canalised Somme (white fish, pike, eel, etc) & from the banks. Parking nearby. Tourist tax included in rent.